Was 2015 a good year for print? How do you measure success? Printing and print is a challenging business. In Scodix, we focused our efforts on delivering new products and solutions to our customers who were primed and ready for change – and for growth. During 2015, we introduced the new Scodix Foil™, an inline digital foiling station for Scodix Ultra Pro. Scodix Foil efficiently uses readily available foils to produce a range of foils, with no waste or mess. With the addition of this new foiling station, our Scodix Ultra Pro can print real foil for short to medium runs and is fast becoming the industry’s most versatile, all-in-one digital enhancement system. Scodix Foil was launched and exhibited for the first time ever at Graph Expo 2015 in September, generating immediate interest from customers and prospects on site. Since the initial launch, over 20 printers have requested to adopt the Scodix Foil to “Enhance Their Competitive Edge”. The application was also hailed as one of Graph Expo’s “Must See ‘EMS” in the Post-Press and In-line Finishing category – a prominent and well-deserved ranking. If I were to measure our success in 2015, it would be the fact that so many existing Scodix customers have worldwide have chosen to move from the S75 platform to our Ultra Platform and purchase the new foil unit as an addition to their Ultra. This is certainly a vote of confidence in the Scodix story. The opportunity for our customers to perform all applications on a single machine, Including SPOT, Sense, glitter, braille, metallic, Variable Printing Enhancement, and now, the new Scodix Foil, means one, comprehensive in-house platform that answers all of their print enhancement needs – and more. What challenges did you face in 2015 and what did you learn from them? Scodix is relatively a young provider for the Graphic Arts industry. As such, we are faced with the challenge of not only educating prospective Scodix customers, but we must also reach out the graphic design community at large to effectively promote our knowledge, expertise and experience. In an industry where knowledge is key, we aim to get this important message across – you can now design a product in small quantities and not only digitally print CMYK, but you can enhance your products, and create amazing effects. We forward thousands of samples to designers around the world promoting our expertise and showcasing Scodix’s unmatched levels of print accuracy and quality. This was a major challenge in 2015, namely educating designers and encouraging them to integrate Scodix solutions into their projects. As a company, we are very fortunate to have and work with our over 200 customers WW and reach these designers. To reach our objective and increase sales, we must make a concerted effort in the promotion and marketing of our solutions. We need to set the stage for real change in our industry and position Scodix as a leading provider of digital print enhancement presses for the Graphic Arts industry. No easy feat, but we are confident that our strong product portfolio will pave the way towards a successful 2016. The most important ‘take-away’ from 2015 is education and how vitally important it is to educate not only prospects but our customers as well. The global printing industry is not expanding and capital expenditure in our market has declined. Our 2015 challenges were in fact, across the board and understanding the importance of reaching out to printers, encouraging them to invest in Scodix in a very competitive market. As we welcome in the New Year, we will continue to play our marketing and sales efforts, working even harder to address the needs of the printer community, with the goal of getting new customers on board. With drupa just a few short months away, we will leverage this important industry event to showcase our winning products and solutions. It is an opportune time to introduce Scodix to prospective customers from around the globe and we are confident that the exhibition will enable us to educate the print industry on the cost-saving advantage and numerous benefits of digital print enhancement. How do your products and services help create relevancy, and why is that important for print in 2016? The transition clearly emphasizes the fact that digital print enhancement is needed now more than ever before. The ability to print and further enhance your print with a unique texture, gives end customers the ability to feel and literally ‘experience’ the various effects on the printed page. This is what makes all the difference, the extra touch that promotes the need for high-quality printed products. Scodix solutions help to make the difference in quality that end-customers demand. In our rapidly growing digital world, online information is vitally important, but our customers still have the need and desire to touch and feel an end product. Today, CMYK is simply not enough and to be able to be different, we know that we must offer something that is truly different – and that’s digital print enhancement. When a product is personalized and embossed or personalized using real foil, quality cannot be compromised and this, above all else, gives our customers the reason to print, making Scodix both relevant and important in 2016. As we print considerably less these days, we move closer to short runs. Digital print, however, does not provide the means of printing effects and enhancements in a cost-effective manner. With Scodix solutions, we give printers the ability to print smaller quantities, modify print effects on a regular basis and still be able add enhancements. 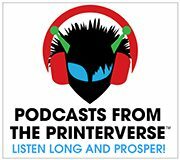 This is the future of the printing industry and for 2016 and beyond, the only viable means of keeping print alive and well – for many years to come. What are three things (not including your products and services) that the print community should have on their radar in 2016… and why? Every print house, no matter where they are located in the world, should be aware of the fast-growing trends in the printing industry. From our perspective, run length is decreasing, with an impending need for added flexibility and shorter time to market. Simply put, the print community can no longer continue working as they have for the last decade. Based on these trends in our industry, every print house must clearly identify its strategies and objectives and implement them to move forward and ultimately, remain competitive. Of the numerous areas of expertise in the printing industry today, we believe that the future is built on product embellishment and that print enhancement is one of the ways to get there. What is the best way for people to learn more about what you do, and how you can help them? Scodix has an informative company website which is updated on a regular basis and includes product information, press releases and an ongoing blog. In addition, we regularly post a wealth of company and industry news and information on Scodix’s social media platforms that include Facebook, LinkedIn, Twitter, and a selection of videos on YouTube. We will be showcasing our products and solutions at drupa 2016 and invite customers, prospects and colleagues to visit Scodix in Hall 4, Booth D-60. To book a 1:1 meeting at drupa or see a demo, contact us here. It’s an ideal opportunity to meet the Scodix team and learn about our company’s vision, future products, demo our applications and see our machines in action here. Contact us at info@scodix.com, and you can order samples here. 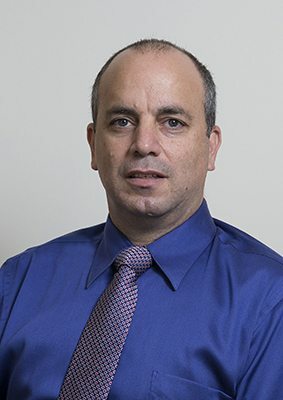 Amit Shvartz has over 18 years of experience in Executive Marketing Management. Prior to joining the Scodix team, Amit was the VP of Marketing of Extricom, a privately held firm specializing in enterprise wireless LAN. Before assuming his position at Extricom, Mr. Shvartz was Corporate VP of Marketing at Objet Geometrics. Over a 10-year period beginning in 1995 with well-known industry trailblazers Scitex and Creo, he held strategic executive-level positions. He draws upon a hugely successful international B2B and B2C sales and marketing career, with a proven track record in distribution, strategic business development, products planning, marketing, and branding.